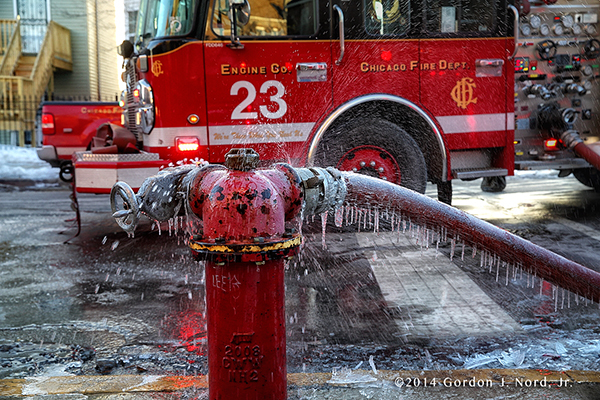 2/25/14 Chicago Working Fire. 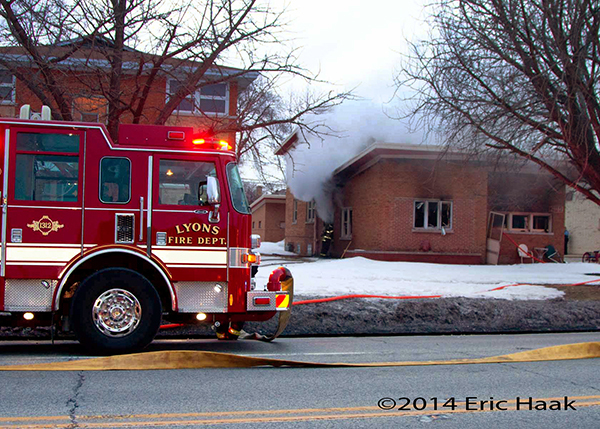 Several outside calls reporting a fire at 4030 Adams. 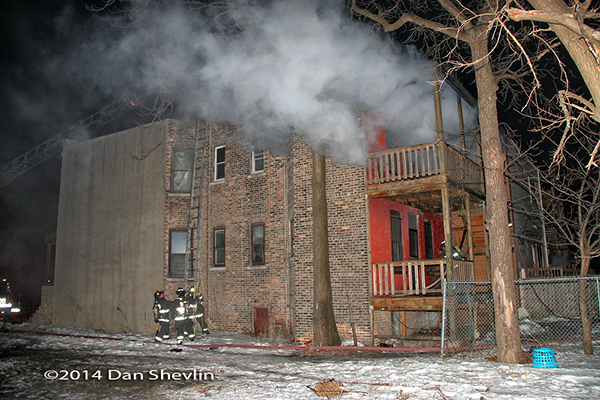 2 story ordinary 25 x 75 fire in the rear. 2 lines. No water problems but it was bitterly cold out. 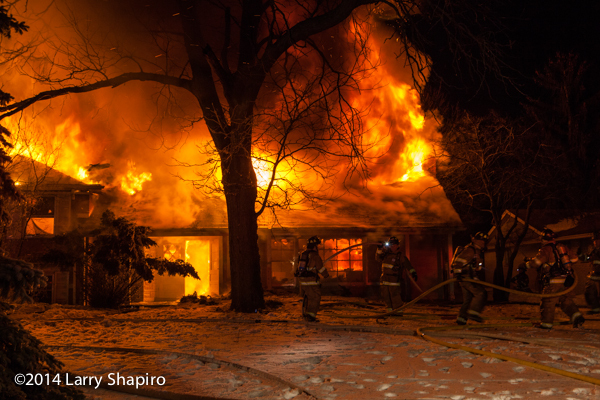 The Winnetka Fire Department was called to a house with smoke coming from the attic at 924 Pine Tree Lane just after 9PM on Wednesday evening. 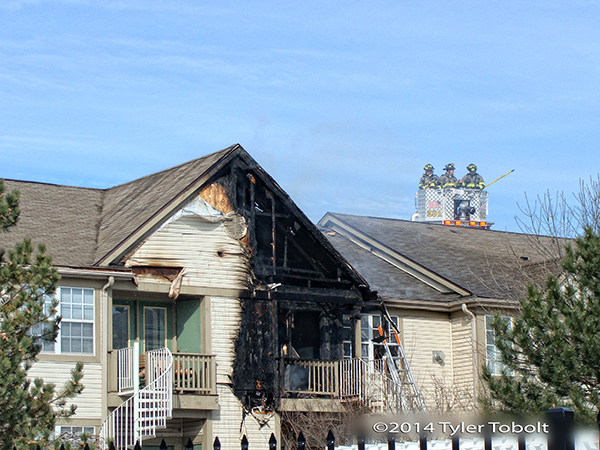 Prior to the fire department’s arrival, police units confirmed smoke from a house at the corrected address of 910 Pine Tree Lane. 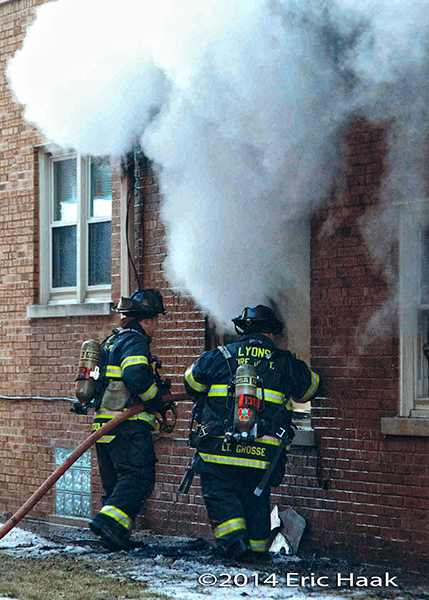 The first engine turned down the street and was completely immersed in smoke with near zero visibility. 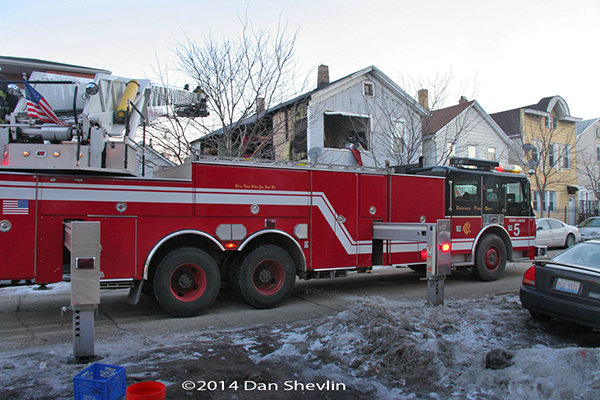 They pulled past the house and the truck was able to back up to the driveway. 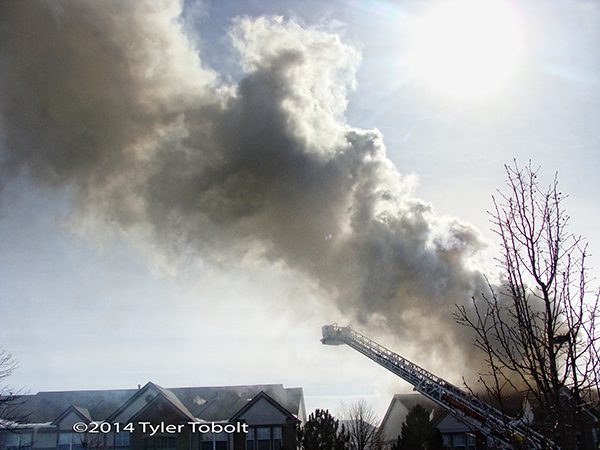 Heavy smoke at the scene was the updated size up at a split level house that was being renovated. 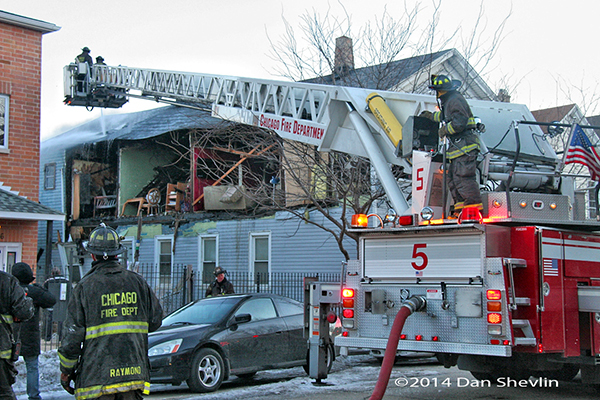 Companies attempted an interior attack as fire burned through the roof at the rear of the house. 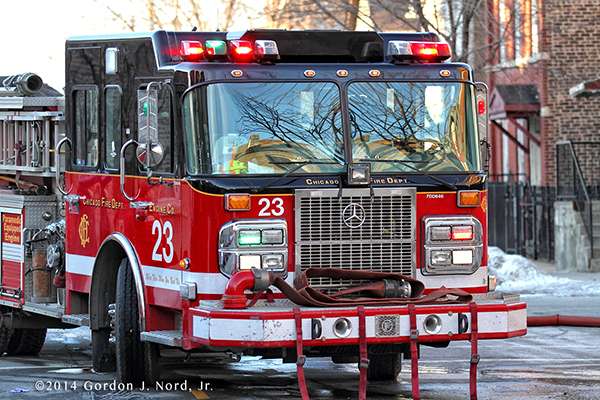 Northfield Truck 29 reported seeing heavy fire as they rounded the corner two blocks away. 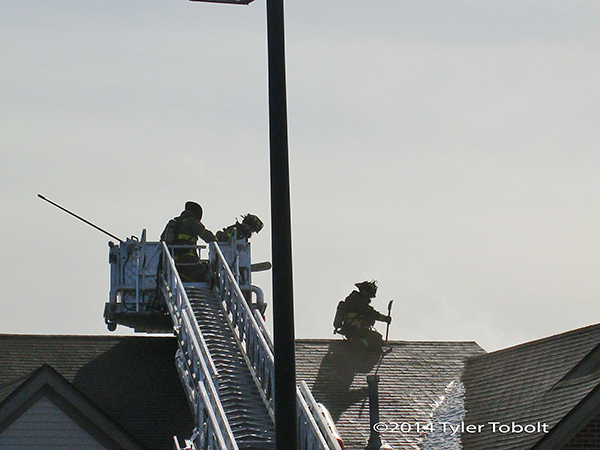 The interior attack was abandoned shortly thereafter as the fire spread throughout the attic space. 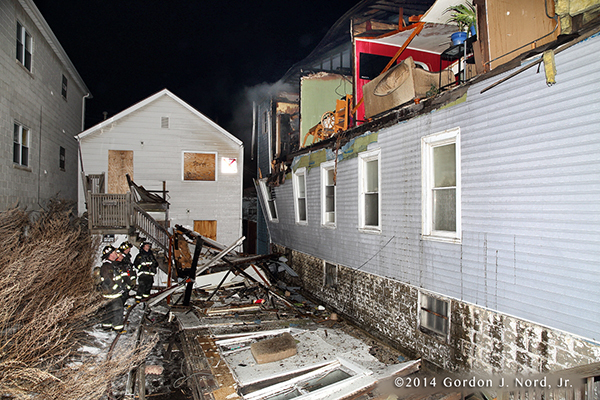 Fortunately the interior crews spotted a hole in the first floor before it could cause injury to any firefighters. 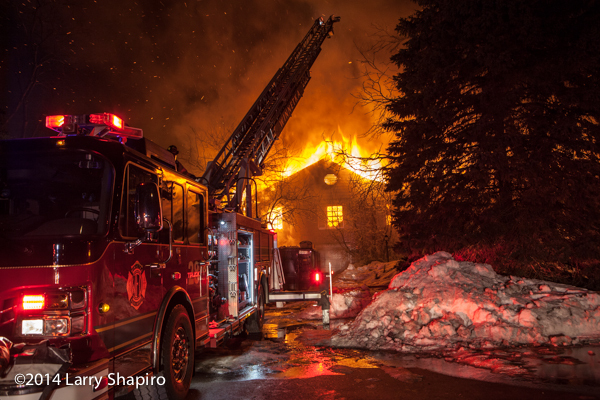 The alarm was upgraded to a Box Alarm as an elevated master stream was put into operation from Winnetka Truck 28 in addition to multiple hand lines. 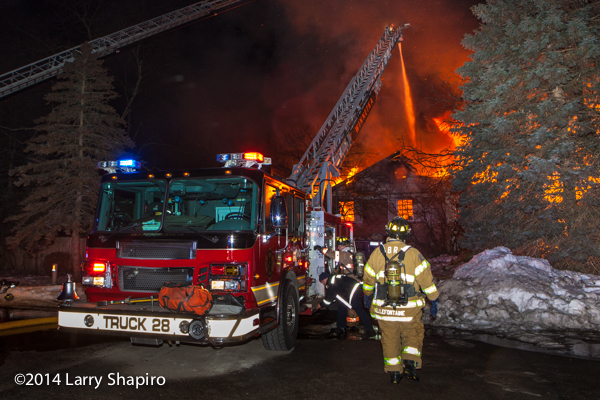 As the fire progressed, Northfield Truck 29 also put an elevated master stream into service. 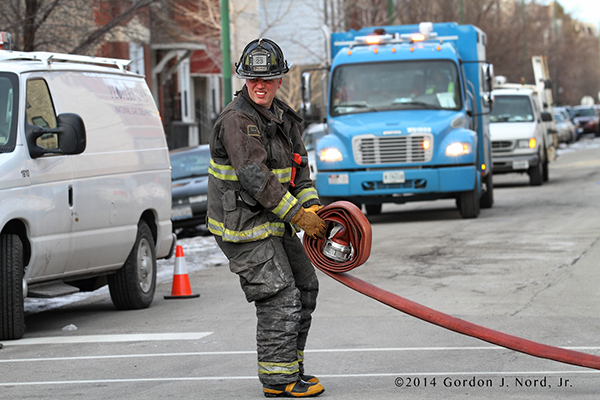 The house backed up to Tower Road, and trucks from both Glenview and Skokie setup there but did not deploy master streams. 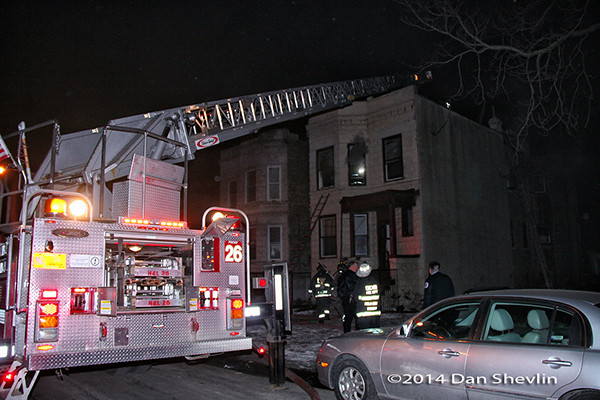 Both ladders were put over the scene to provide illumination for firefighters. 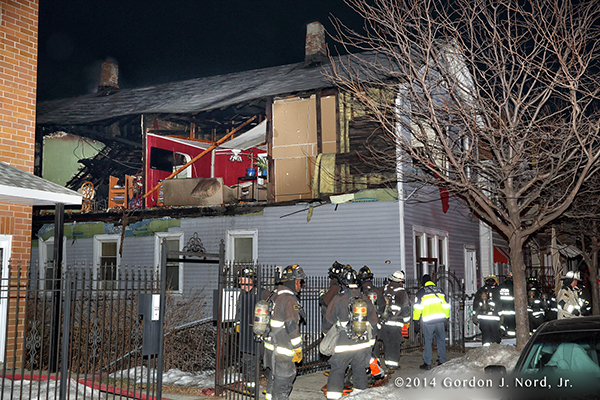 Companies at the scene included engines from Winnetka, Glencoe, Highland Park, Northbrook, Highwood, and Evanston. 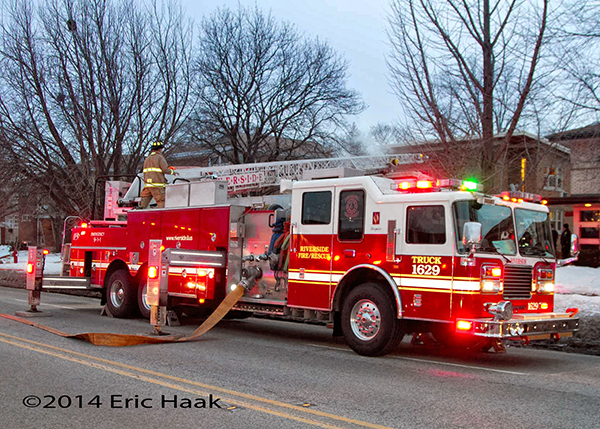 Trucks on-scene were from Winnetka, Northfield, Glenview, and Skokie. 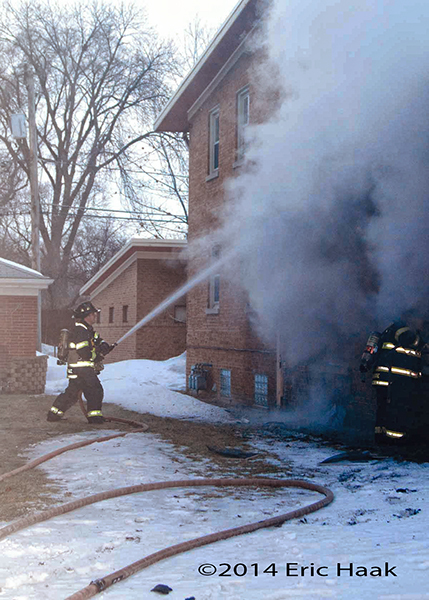 Other units included a squad from Morton Grove, an ambulance from Wilmette, the MESS Canteen, and multiple chief officers. 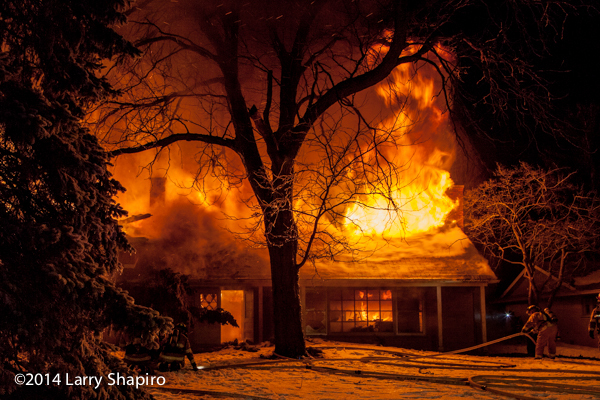 One person was killed in an early Wednesday morning fire on Sheboygan’s south side. 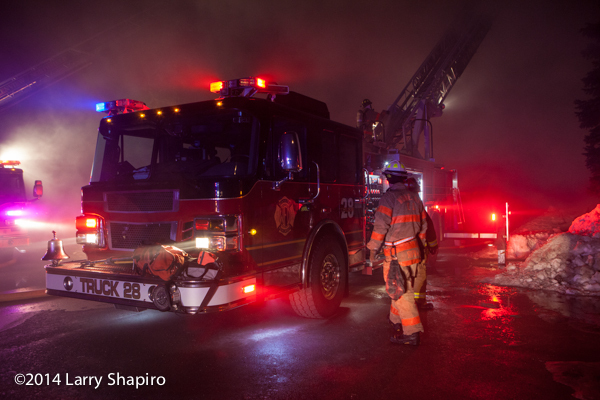 At 12:02 AM, the Sheboygan Fire Department received a 911 call from a person reporting a fire at 1 Cheyenne Trail, inside the Indian Meadows Trailer Park. 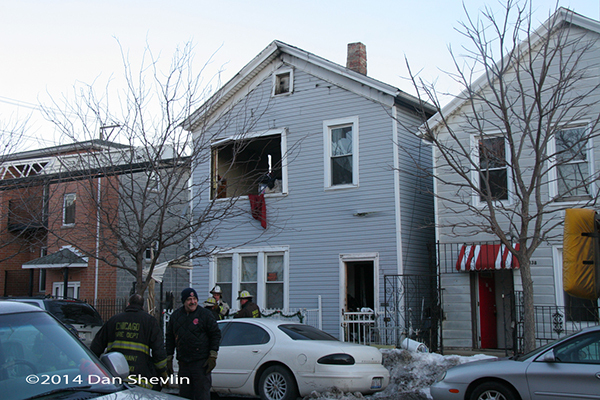 The caller reported a woman possibly trapped inside. 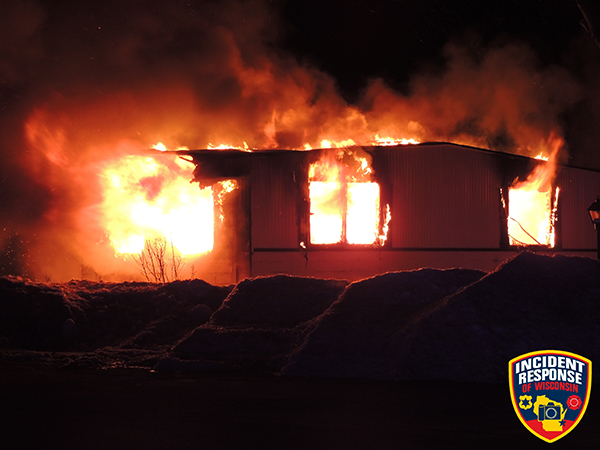 The mobile home was about three-quarters engulfed in flames when firefighters arrived at around 12:08 AM. 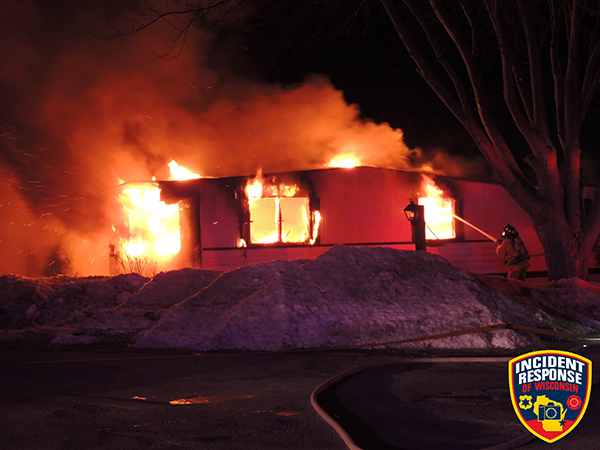 Firefighters did locate the victim inside the burning mobile home. 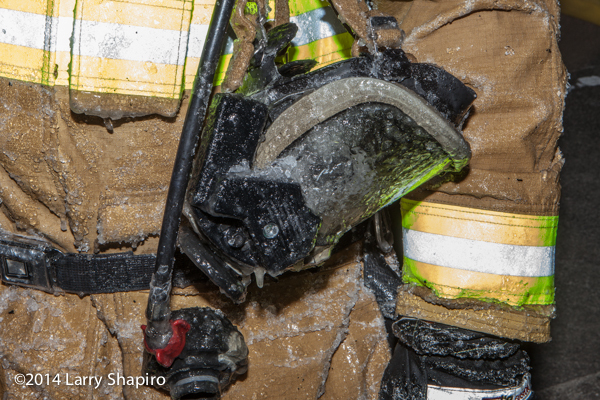 The Sheboygan Fire Department transported three civilians to Aurora Sheboygan Memorial Medical Center with non-life threatening injuries according to Shift Commander Gary Kolberg. The woman’s name has not been released by officials. He said there is no dollar loss estimate as of 9 AM; however the mobile home is a total loss said Kolberg. 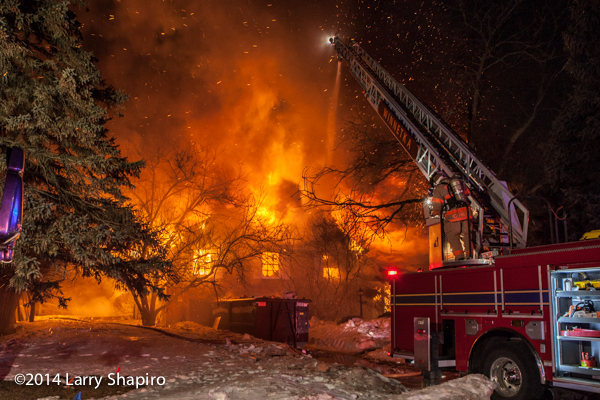 The fire is currently under investigation by the Wisconsin State Fire Marshal’s Office and the Sheboygan Fire Department. 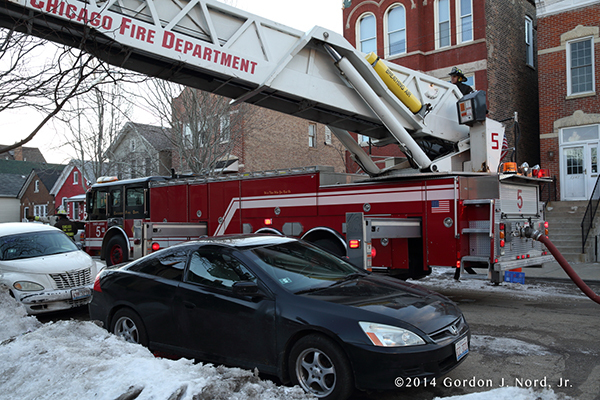 The American Red Cross was also requested at the scene. 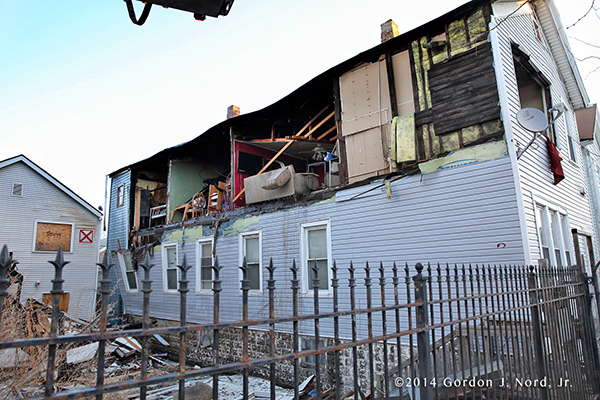 Images from Gordon J. Nord, Jr. from the gas explosion last Friday on Cullerton in Chicago. 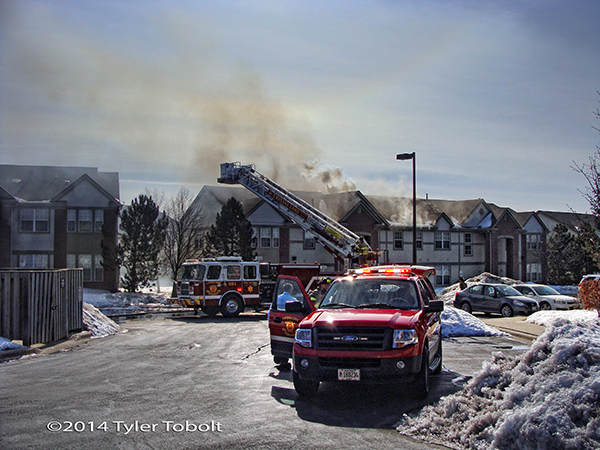 Here are some photos I took of a Crystal Lake (IL) 2nd alarm apartment fire at 1627 Carlemont Drive. I have many more photos I will be posting on Flickr. 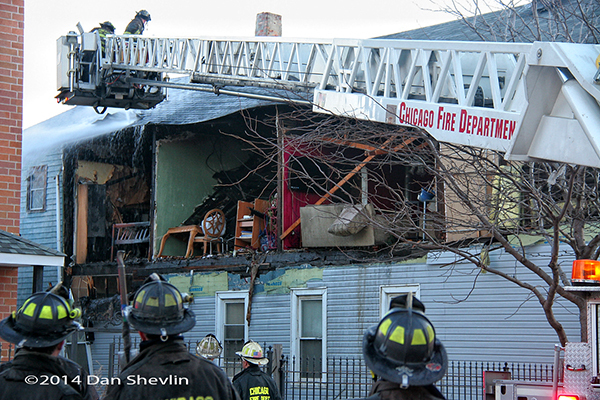 1300 block of Cullerton, in Chicago. 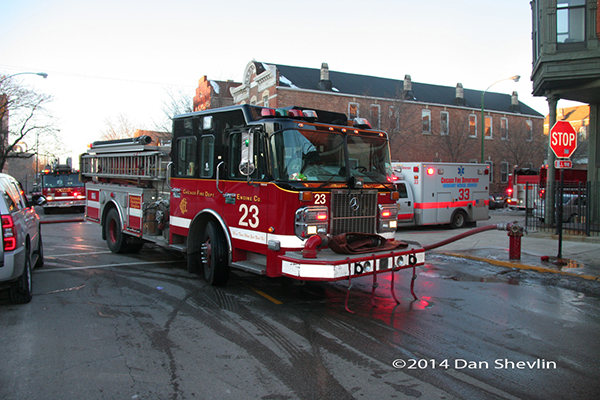 Still & Box, Level 1 Hazmat, and EMS Plan 1. Gas explosion. 25 x 70 2 1/2 story frame. 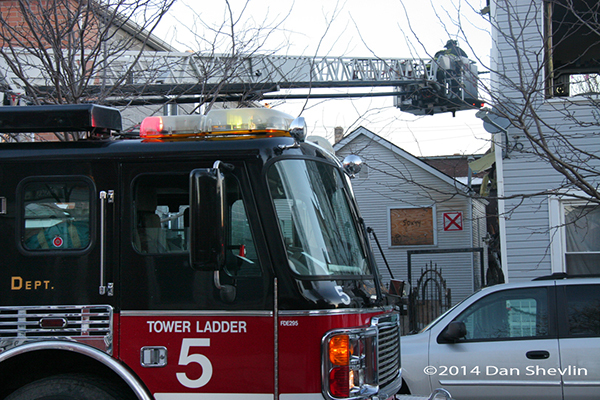 Two burn victims, 3 lines & a tower ladder were deployed. 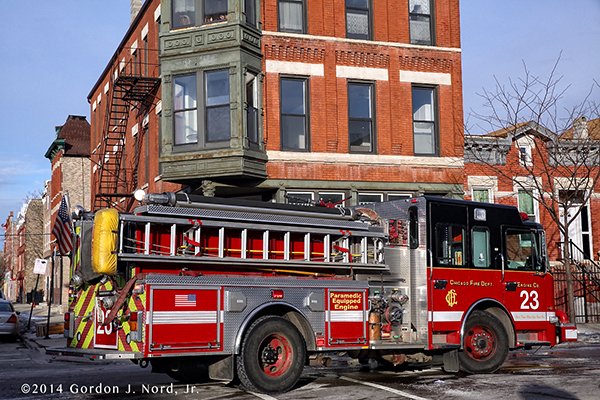 At 1715 hrs Saturday afternoon, the Riverside Fire Department (IL) had a working fire in an apartment building at 2916 S. Harlem. 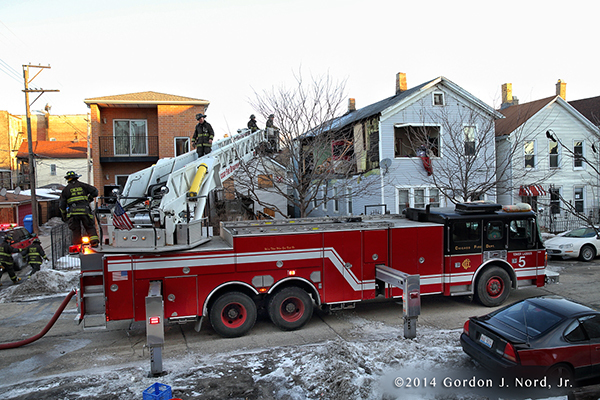 Companies arrived to fire blowing out the first floor windows of a two-unit apartment. 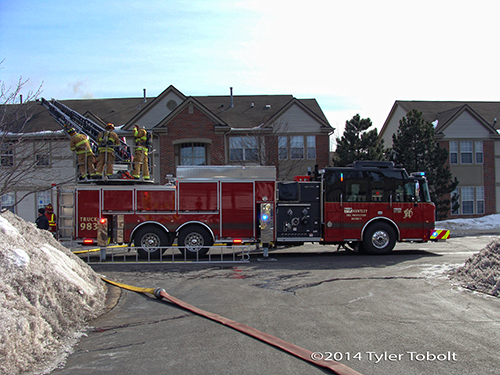 The fire was contained to the first floor unit and was quickly brought under control.